Do you support recruitment process and give career advice? Do you defend workers and women rights? Do you care of gender equality? Join the online interactive webinar taking place on December 12! More information HERE. A Stakeholders’ Roundtable is being organised and hosted by the Umbria Region and attended by representatives of Public Employment Services, European Associations for the Education, EU Commission representatives and other relevant stakeholders. This is being held at Rond-Point Schuman 14 – Bruxelles on 10 October 2018 from 9am to 11am. For more info, take a look at the AGENDA and other information HERE. The Get Up final conference has been confirmed for 5th December 2018 in Rome. Click HERE to register! The full agenda can be downloaded HERE. Get Up will be participating at the EfVET 2018 Lake Como Conference being held between 24th and 27th October 2018 with theme “Rethinking VET for Inclusive Excellence!”. This EfVET Conference gathers teacher, tutors, managers, policy makers, companies and authorities, from all over Europe and beyond. The Conferences contributes to discuss, share, plan and develop partnerships, projects, proposals for the future of VET providers and their communities of leaders, practitioners and students. Vocational education is faced with the challenge to fulfil its mission adequately, and also to contribute to a sustainable and inclusive growth in Europe. Digitalisation and globalisation are opening a new market, in particular for Vocational education training and small business. Due to the increasing expectations emerging from the wide community of members, EfVET 2018 Lake Como Conference, introduces two parallel strands of activities. Each strand will focus on specific targets, in order to multiply and boost the results of members’ participation. 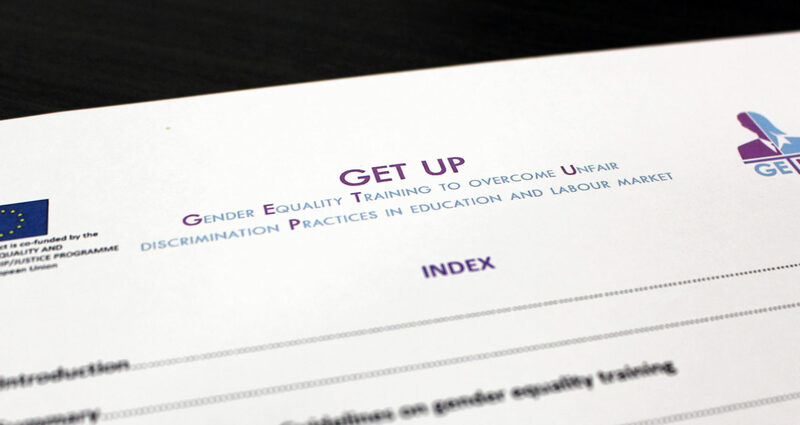 The roundtable session at EfVET International Conference in Como will be dedicated to the Get Up project. Each roundtable will give European project partners the opportunity to disseminate progress, results and products of their Transnational Transfer of Innovation; Development of Innovation and other European initiatives – a key to successful valorisation of good practice outcomes and sustainability. 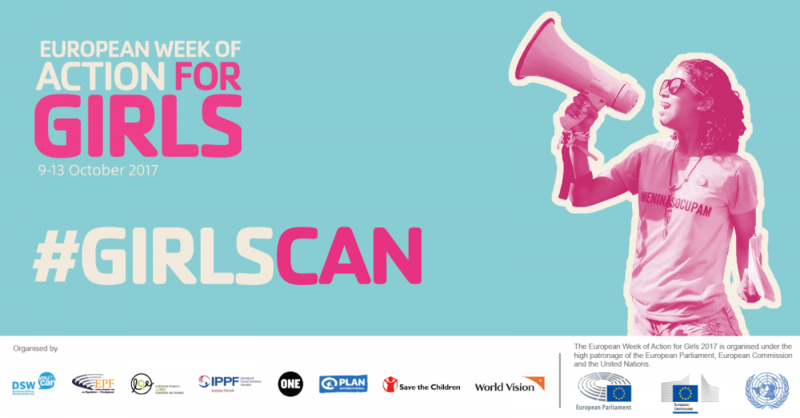 The European Week of Action for Girls is an annual week-long event which aims to ensure that girls’ empowerment is promoted and their rights are protected and fulfilled in the EU’s external action, through adequate policies, funding and programs. The 2017 edition of the week takes place from 9 – 13 October. More information HERE. 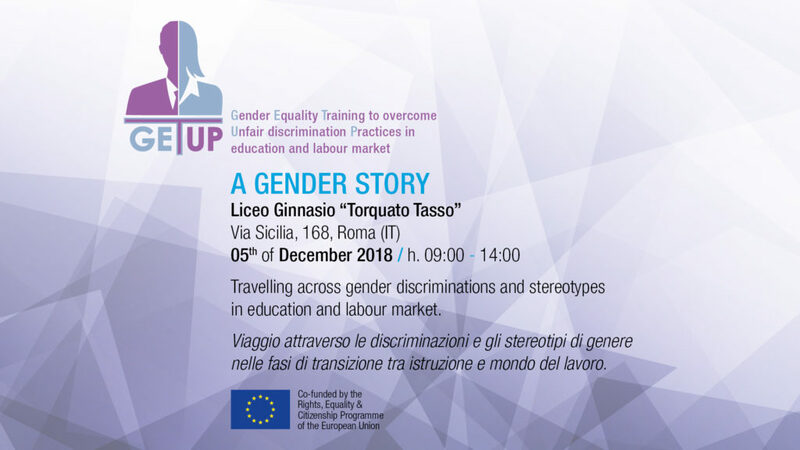 Thanks for visiting the page for the EU-project “GET UP – Gender Equality Training to overcome Unfair discrimination Practices in education and labour market“, which seeks to address the stereotyping of educational and career choices and to promote gender equality in education, training and career guidance. 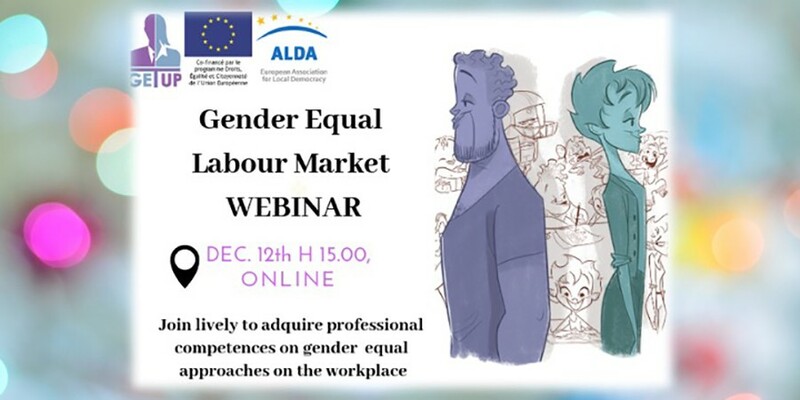 Additionally we are seeking to ensure that work practices promote gender equality, and do not reinforce stereotypes, gender segregation and inequalities. A big task… so let’s GET UP and start working! This project is co-funded by the RIGHTS, EQUALITY AND CITIZENSHIP/JUSTICE PROGRAMME of the European Union.